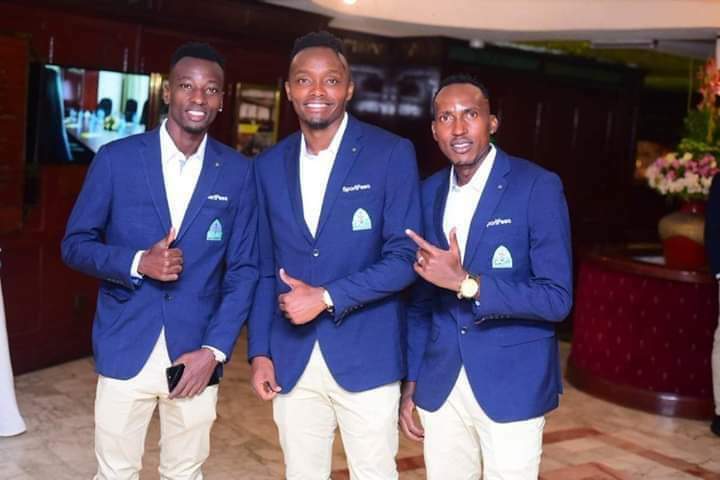 Kenyan champions Gor Mahia departed for the UK early morning Friday in style. The team plays Premier League side Everton in a high profile and historic friendly at Goodison Park – Liverpool Tuesday night. A squad of 26 players plus officials left the Jomo Kenyatta International Airport – dressed to kill. Betting behemoth SportPesa who are sponsoring the trip pulled all stops to ensure the team’s look match the occasion. It will be the first time an African club will be playing at the Goodison Park. Gor Mahia won the rights to achieving the historic feat by winning the annual SportPesa Super Cup against Simba SC of Tanzania.